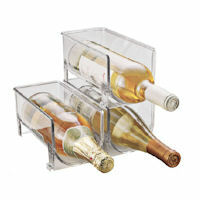 Neat acrylic wine / bottle rack to stack inside your fridge to create a bit of extra storage space. Also great for fizzy drinks and bottles of juice etc. 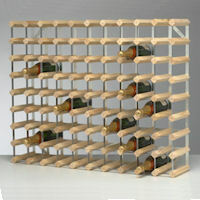 Stylish wall-mounted raw oak wine rack with space for 22 bottles of your favourite bottles. A great space saving item to give you extra space in those voluminous kitchen cupboards where there's never enough shelf space. 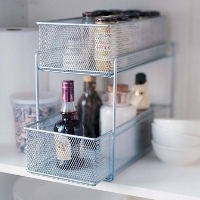 Maximise cupboard storage and get easy access to the very back of the cupboard at all times with our sliding mesh 2 drawer organiser. 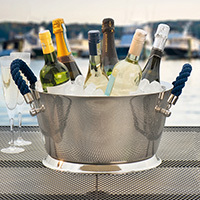 Each basket slides out completely so you can take it wherever you need it. 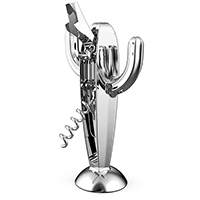 Contemporary nickel plated steel wine rack that holds up to 12 bottles of your favourite tipple. 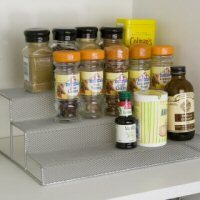 Simple and stylish 6 container spice rack. 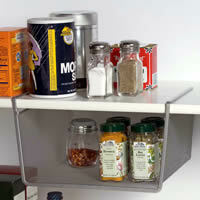 Great for the kitchen countertop to keep your favourite herbs and spices close to hand. 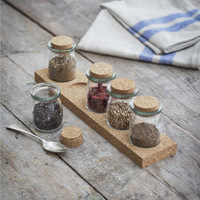 Lovely little 5 jar spice rack sitting within an integrated cork base unit. 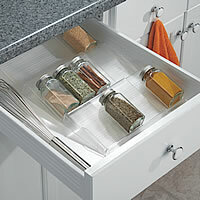 Great for the kitchen countertop to keep your favourite herbs and spices close to hand. 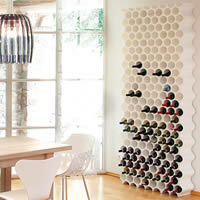 Modular wine bottle rack with honeycomb design. 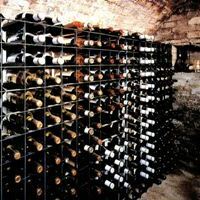 Each module holds up to ten bottles of your favourite vino. Available in Black or White. 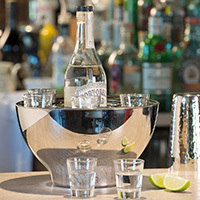 Stainless steel spirit cooler bowl with 6 shot glasses. A must have when company calls. 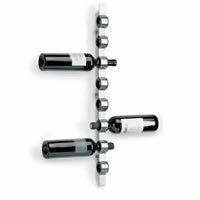 Wall mounted wine bottle holder to store and display your 3 favourite bottles and glasses. Attractive stacking wooden wine storage cube with 4 internal storage compartments to store up to 12 bottles. For a perfect fit ! We can now design a made to measure wine rack to fit into your exact space and in a wood & steel finish of your choice...click for details! 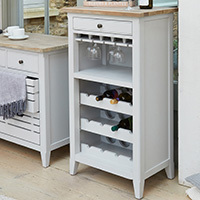 Solid grey painted wood wine cabinet which can store 12 bottles and 20 stemmed glasses. Delivered fully assembled. 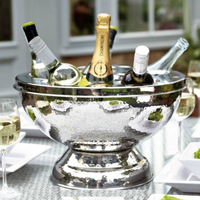 Well-made wine and champagne cooler / bucket with a polished finish. Neatly holds 6 bottles of your favourite plonk. 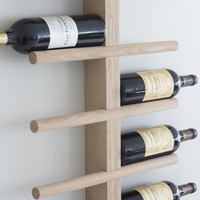 Innovative and stylish way to store up to 8 bottles of your favourite vino on the wall. 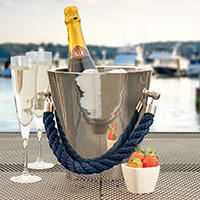 Stylish polished steel champagne cooler with a chunky dark blue rope handle. 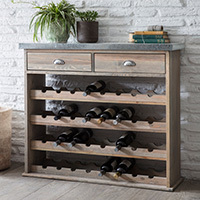 Spruce wood and zinc wine storage unit with 2 drawers. 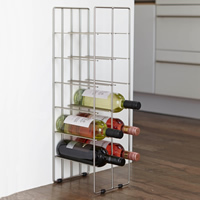 Freestanding hexagonal wine rack to store 6 of your favourite bottles of wine. 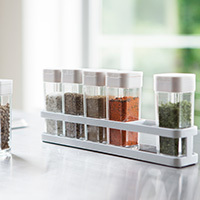 Clear plastic expandable spice storage rack to organise spices in your kitchen drawers. 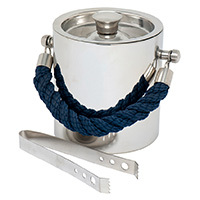 Stylish polished steel ice bucket with tongs and a chunky dark blue rope handle. Traditional wooden wine rack from the makers of our made-to-measure wine racks. 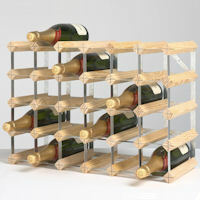 This wine rack comes ready assembled is handmade for STORE in England. 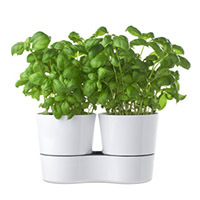 Store your choice of herbs in this clever twin pot and you'll never have to worry about them wilting on the windowsill as the pot has an innovative built-in hydro watering system. 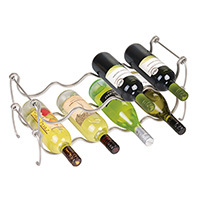 4 bottle stackable wine rack in a stylish chrome finish. 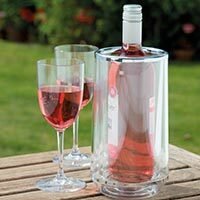 Double walled wine bottle cooler crafted from clear acrylic with a chrome edge. 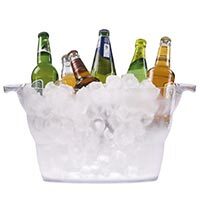 Crystal clear acrylic drinks cooler / bucket to keep your favourite tipples ice cold. 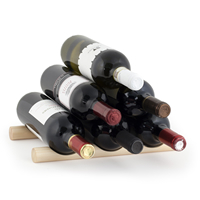 Set of 2 solid wooden sticks to simply and quickly store up to 6 bottles of your favourite wine.